Beginning January 4th, the Drive By boys are back together for a cross country tour! 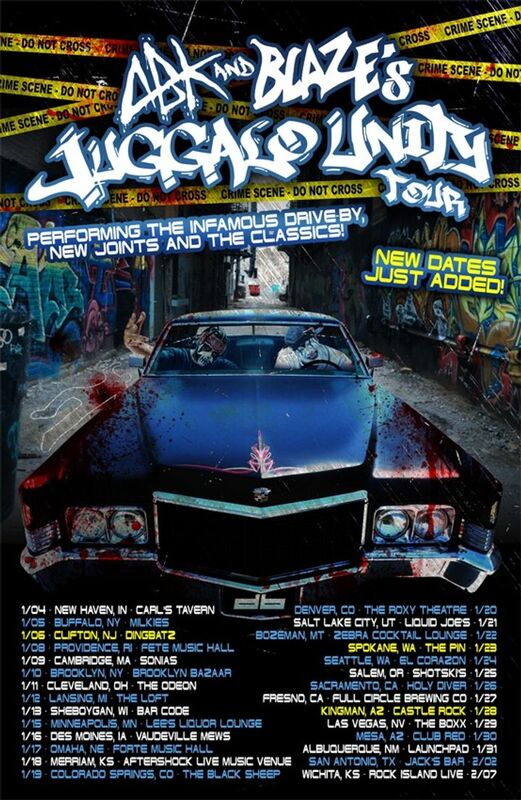 Don't miss out on Blaze Ya Dead Homie and Anybody Killa as they bring you the Juggalo Unity Tour! Head over to majikninjaentertainment.com for dates and tickets!! Axe murder Boyz no show.